'The influences and images of childhood are deep and lasting, and so it has been with Donald McIntyre for his boyhood was spent in the North West of Scotland among the blues of sea, sky and mountain and the rich green, saffron and umber of the small fields and hillsides. Here, unknowingly, his palette was formed and when in later life he came to Wales he viewed the landscape, not as a Welshman, but as a Scot who painted in the free exuberant spirit of his fellow countrymen and with a deep knowledge and appreciation of the best of European painting. 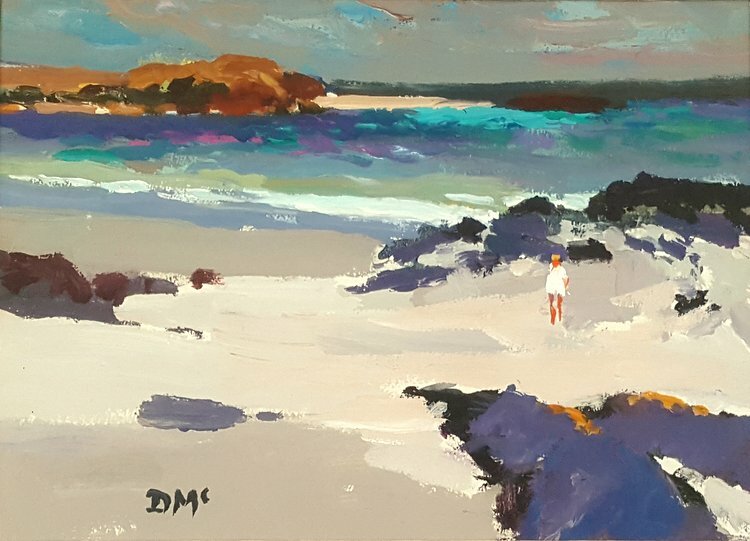 Like so may Scottish artists, Donald McIntyre's work is happy and it has brought joy to many people since he started to paint professionally and for a living at the age of forty. It is strange to think that at one time he was an Educational Health Officer who was only able to paint in his spare time and between visits to schools in remote areas of North Wales. 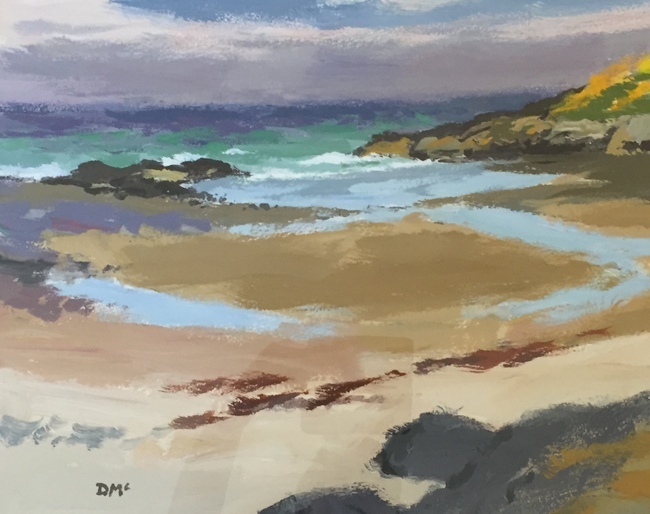 It must have been an act of great courage to give up an assured income in order to devote himself to his painting for he had a family for whom he had to provide; but Donald McIntyre has two great assets, an immense appetite for hard work and the perceptive eye of a sound draftsman. It is easy to see why he has succeeded for the spontaneous charm of his pictures and their unworried clarity make them eminently desirable. Mentally as well as professionally Donald McIntyre is a true artist.' The late Kyffin Williams R.A.